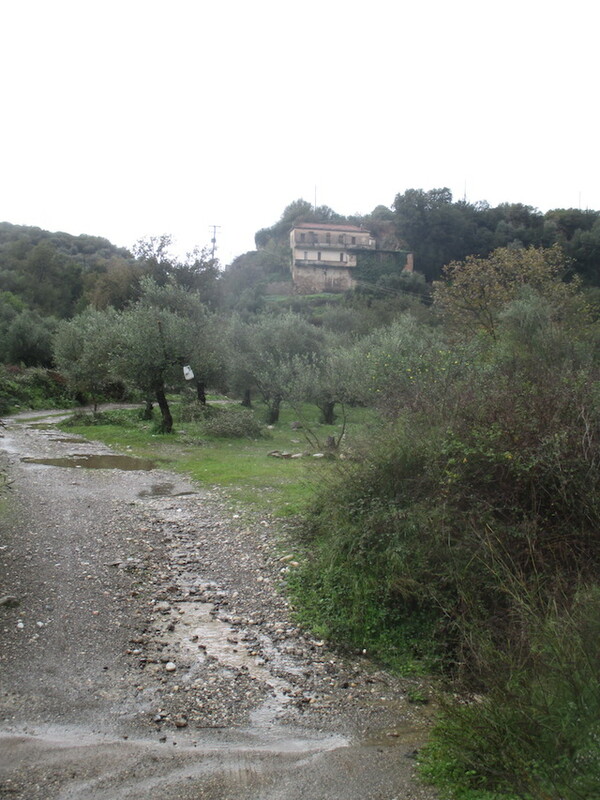 As you may remember, there is a dry river bed at the bottom of the valley beneath the abandoned convent and before the climb up snake hill and on to the Greek Hovel. It has been raining here for several days and is still raining heavily. 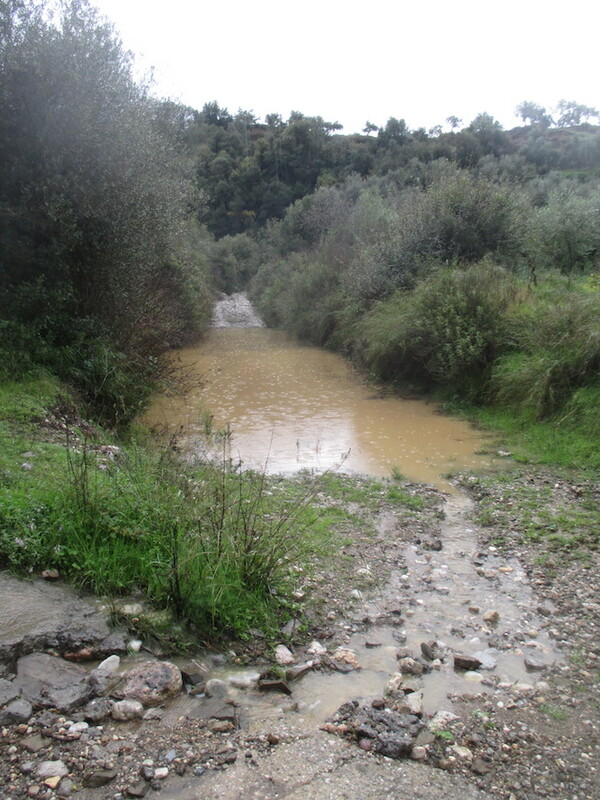 So the dry river is filling up rapidly and will soon start to cross the track. The photo below is of the growing pool and after that the view up to the convent.